We know how difficult it can be waiting for a staged rollout to hit your phone, so if you are trying to download version 5.0 of Instagram from Google Play, you no longer need to wait. 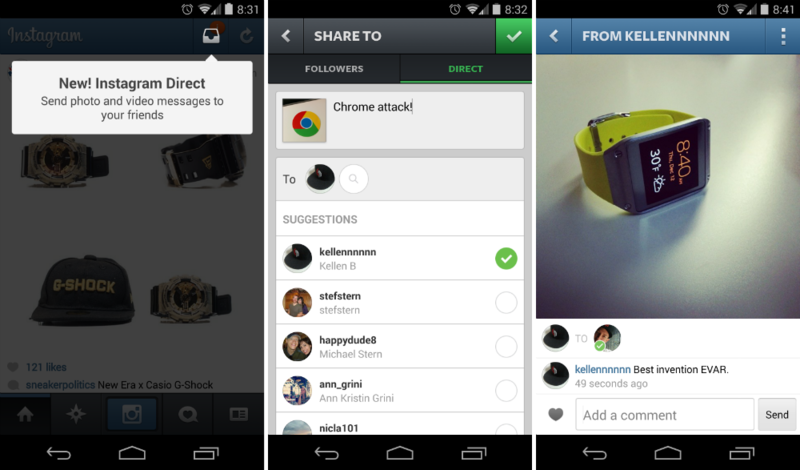 Version 5.0 features Instagram Direct, which allows users to send private videos and photos to each other, as well as private messages. It’s a feature many folks have been wishing and hoping to see come to the service, so it’s nice to finally have it arrive. After our time with it, it works just as well as we had hoped. When you open the updated app, you will see a new inbox icon in the top right. When you hit on that, you will be taken to your inbox where you can view your sent and received messages. From this area, you can send a new private message or begin the video and photo taking process. We sent a few pictures back and forth, and so far, it all works great.